Description An unidentified wedding party in the O’Reilly chapel. 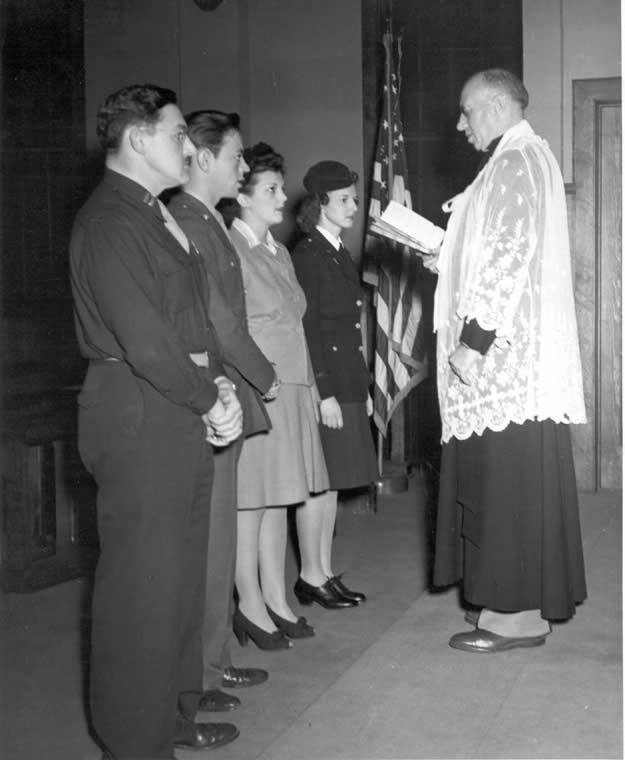 A number of nurse-patient romances ended up in the Chapel, as well as several in-service pairs. The Springfield newspapers often carried small articles about O’Reilly weddings, but seldom had photographs of the newlywed couples.